If someone tells you that Maldives has been inhabited for at least 2500 years, it might come as surprise to you. However, there is linguistic, historical and archaeological evidence supporting that fact. Though these islands lie in relative isolation in the middles of an ocean, there have always been enterprising sailors who have come to shores by design or mishap. Those that decide to stay earlier almost always welcomed those who arrived later with no ill intent. Within this scenario arose a nation that sent ambassadors to Rome in the 4th Century and a delegation to China in the 7th Century. Understandably, the relative isolation along with the constant need to assimilate people from different cultures forged a unique island culture that continues to evolve to this day. 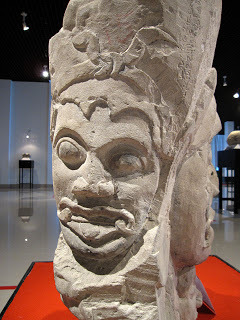 History indicates that 300 B.C Buddhism arrived in the Maldives. Ruins of stupas and other temples from those days can still be found on some islands. Buddhism remained the predominant religion till 1153 AD. A scholarly man of faith convinced the ruling monarch at the time of the virtues of Islam. Nationwide conversion soon followed. Today, it is a matter of pride and honor for every Maldivian to say that he or she is a Muslim. Ali Alif atoll. 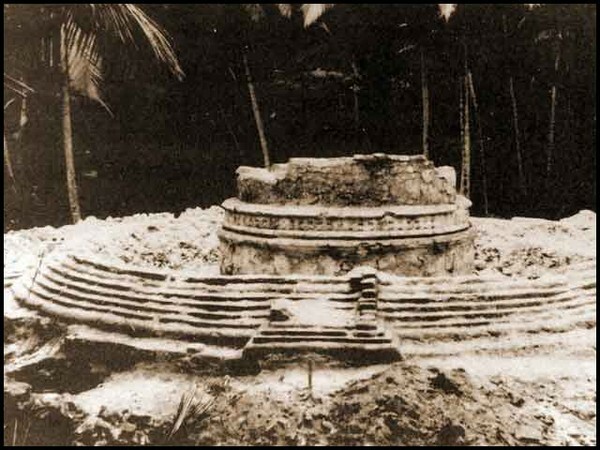 An excavation team found the ruins of a Buddhist temple in Thoddu in 1959. The love of peace has always been a Maldivian trait. Skirmishes with regional belligerents in days long gone have, at times, helped the Maldivian to value this more. Then came western colonialism. First came the Portuguese in the 16th Century. They held the nation hostage for about 15 years and 6 months. Then the Maldivians took charge of their own lives again. After a long period of independence, the Maldives became a British Protectorate in 1887. In 1965, the country joined the international community as an independent and sovereign nation. In 1968 the country proclaimed its second Republic. On July 26, 1965 the Maldives becomes independent and a full member of the United Nations. Today, the Maldives is a modern democracy that is proud of its history and culture while forging ahead in the race for development. This entry was posted in country, culture, Economy, folklore, history, religion, tradition. Tagged ambassadors, archaeology, british, Budhism, china, colonialism, culture, democracy, faith, folklore, history, Islam, isolation, Maldives, monarch, museum, past, Portuguese, protectorate, religion, republic, sailors, stupas, sultan, tradition, visit.